It is one year since we launched Literacy Abhiyan and we have already seen enormous interest being created among the adult populace. 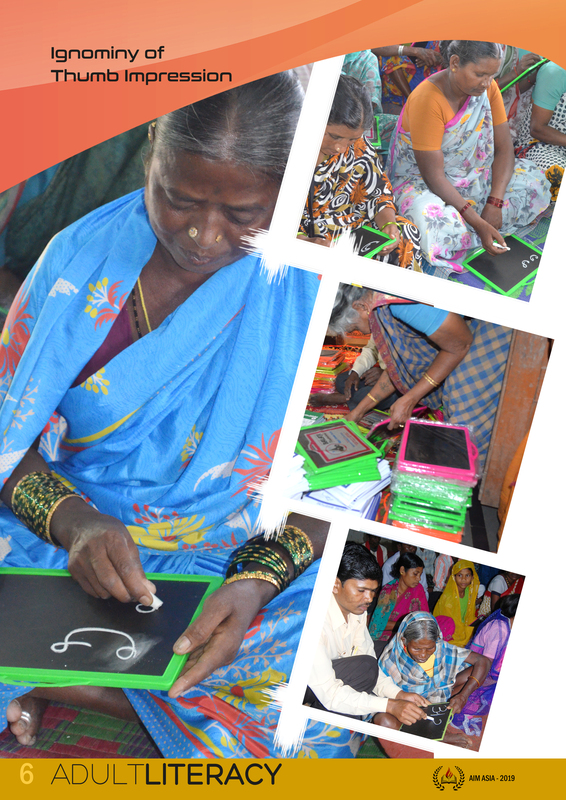 The literacy projects are in operation in Telugu, Hindi, Odia, Bengali and Assamese languages. We have hired trainers, appointed teachers, purchased primers, slates, whiteboards, petro-max, etc. It is fascinating to see the adults, senior people trace alphabets with their chalks. The smile is spontaneous when they have the mastery over one alphabet, or when they can recognize an alphabet from the primer lesson books. 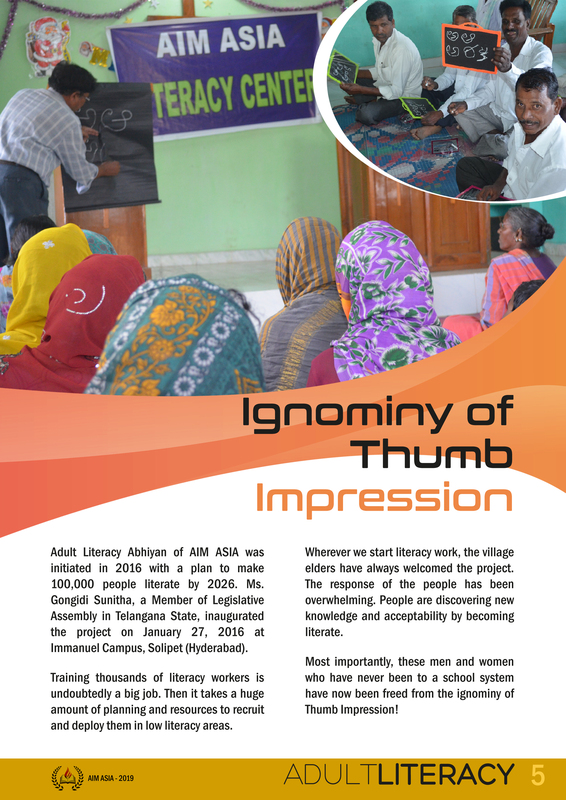 One year has passed; hundreds of men and women have learnt to read and write. 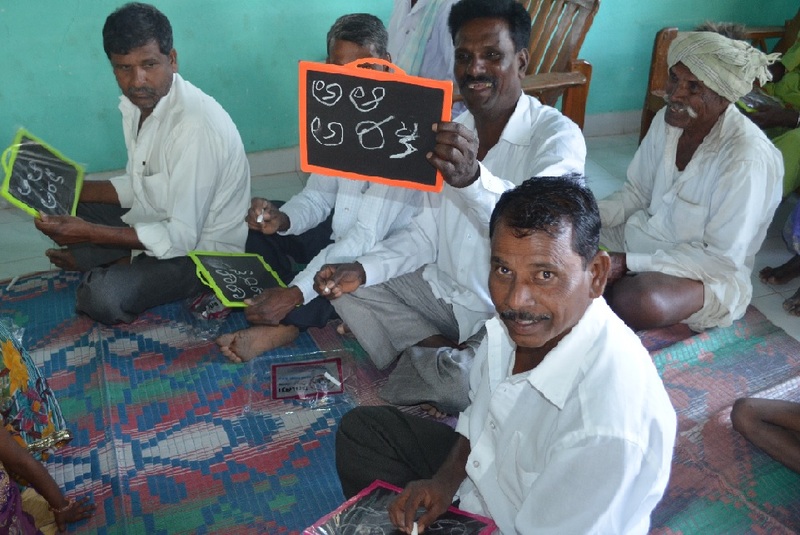 They are able to count their money, read letters and sign their names instead of giving thumb impressions. Life has changed for them. They have literally conquered the old adage: "Jo zindagi mein kabhi nahi hua, O budhapan mein keise hoga?" (What was never achieved in life before, how can it be achieved in old age? Some of the young men who have done well in their tests, we are encouraging them to study hard and join distance education program. Right in our MBA college campus at Solipet, we have a study center for BA, BCom and PG program granted by Kakatiya University. We would love to see some of these men and women take on a degree program some day. It is surely an uphill task but not impossible. We will offer all possible help to see a community transform. Addressing the audience, she appreciated the educational opportunity offered by Immanuel Academy and assured all her help from the government since the college was situated in her own constituency. She commended the efforts of AIM ASIA to uplift the poor and the marginalized. 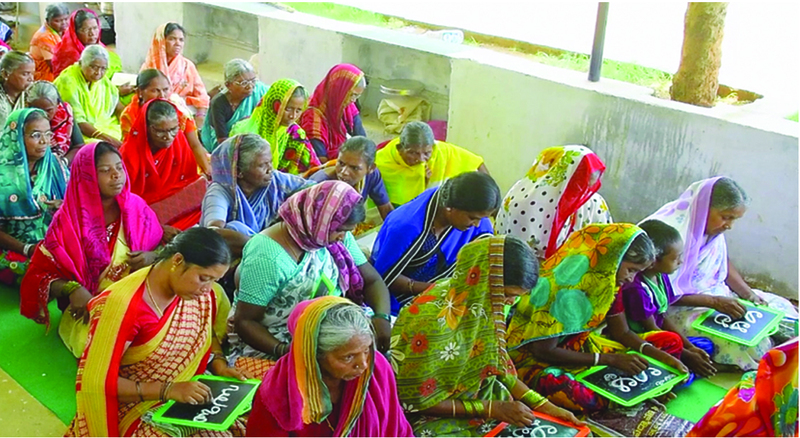 sarees to the widows and elderly organized by AIM ASIA. Dr. David Goodnight brought the greetings on behalf of Friends of Immanuel Academy. Dr. Joey Collins, Professor of Psychology, Seattle Pacific University, delivered the commencement speech. 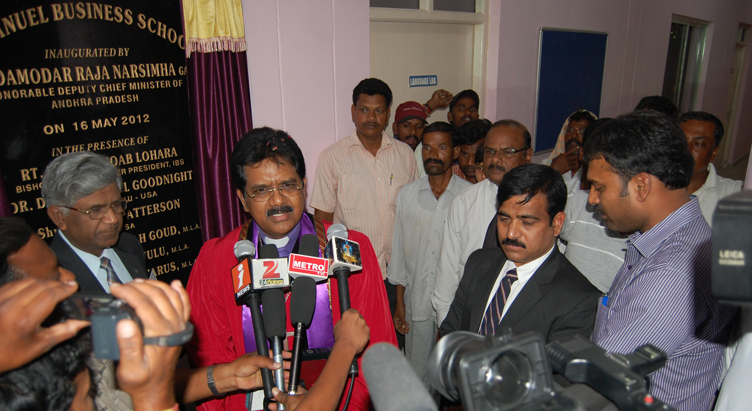 Bishop Dr. Joab Lohara, Founder-Chairman of Immanuel Academy, gave away the awards. Academy students rendered a beautifully choreographed welcome dance on the occasion. Students of our partner University, SPU, honored the chief guest and guests of honors with garlands and shawls. cohorts of graduates by now; another is just completing. pursue higher studies in the U.S.A.
business and foreign culture at the cost of the college. offer quality education and teach values of life. PURPOSE: To initiate adult literacy program in low literacy areas with a goal of making 100,000 people literate in the next 10 years (2017-2027). ANNUAL TARGET: To make 10,000 literate each year. MANPOWER REQUIRED: A contingent of 2,000 trained teachers. Every class will have an average of 30 students. Literacy is the ability to read, view, write, design, speak and listen in a way that allows you to communicate effectively. The power of literacy lies not just in the ability to read and write but also in a person’s capacity to apply these skills to effectively connect, interpret and discern the intricacies of the world in which they live. Research shows, people with good literacy skills are more likely to have higher self-esteem, better health, better jobs and higher wages than those with poor literacy skills. Literacy impacts a person’s economic wellbeing, aspirations, family life, health and cultural engagement. There is overwhelming evidence that literacy has a significant relationship with a person’s happiness and success. Helping someone to read and write effectively or acquire the basic math skills so many of us take for granted improves the future of everyone in society. Literacy is critical to economic development as well as individual and community wellbeing. Millions of people in low literacy areas area still deprived of the awesome benefits of literacy and ignorant about many great things our wonderful world has to offer. We need partners willing to invest into the lives of and men and women who have never been to a school system. They deserve at least one opportunity in their life time. 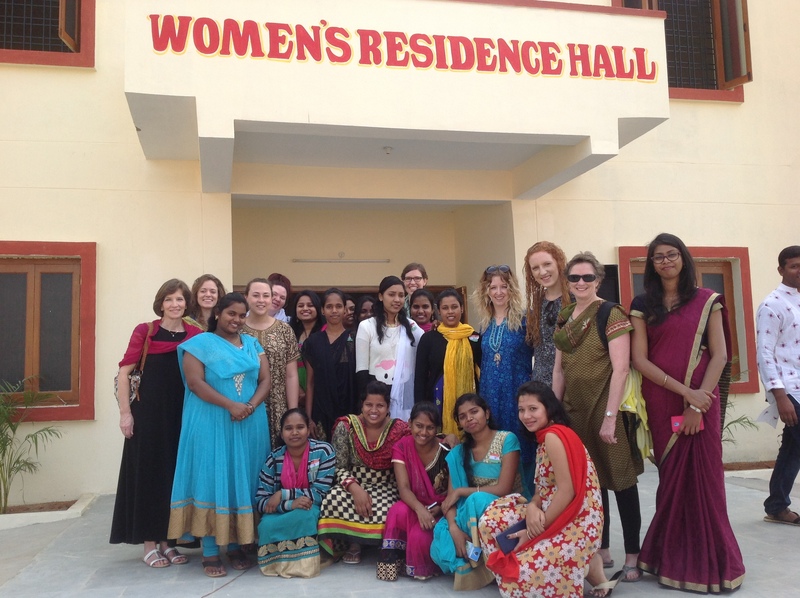 The Women's Residence Hall was dedicated in Immanuel Academy campus in Hyderabad on January 26, 2016. With this new addition, Immanue Academy now has residentail facility for both boys and girls separately. This is a great facility with modern amenities, beautiful lawns and flower garden. The Women's Residence Hall in the campus indicates that the girls matter. The purpose is to provide safe residential education to MBA students. We desire for the girls in the area to take advantage of the facility and devout to higher learning. Please reserve your place 6 months prior to the start of the academic year. Immanuel Academy is a premier MBA college that offers two year MBA. This program is affiliated to Jawaharlal Nehru Technological University in Hyderabad and approved by AICTE, New Delhi. 16 MAY 2012. 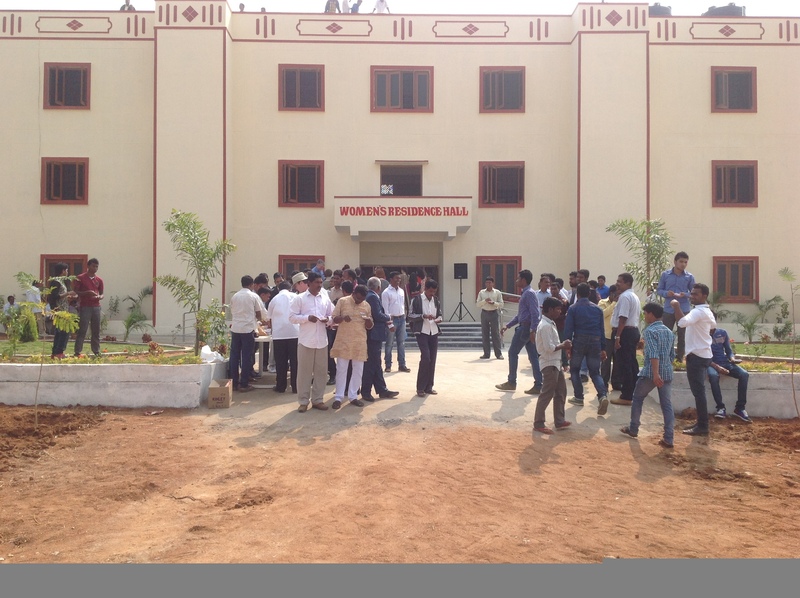 IMMANUEL BUSINESS SCHOOL, an MBA College for Minorities, was inaugurated at Solipet, 30 kms northeast of Hyderabad at 7:00 PM. The evening pulsated with enormous activities. From the ribbon cutting at the main gate to the unveiling of inaugural stone at IBS building, there were several stops for the parade to engage in unfurling the University banner, cutting the ribbon at college cafeteria, multipurpose building, library, computer lab, etc. Among special Guests of Honor who were present on the occasion were the Member of Legislative AssemblySmt. Christine Lazarus, Bishop Zachariah and President of Friends of Immanuel University Dr. David R. Goodnight and Patrick Patterson of U.S.A. The 10-acres IBS campus was beautifully lit with colorful lights for the grand inauguration. Patrick Patterson cut the ribbon at the main entrance, and Dr. David Goodnight unfurled the University flag. The colorfully dressed band then moved on the parade to University cafeteria where Smt. Christine Lazarus cut the ribbon to declare it open. 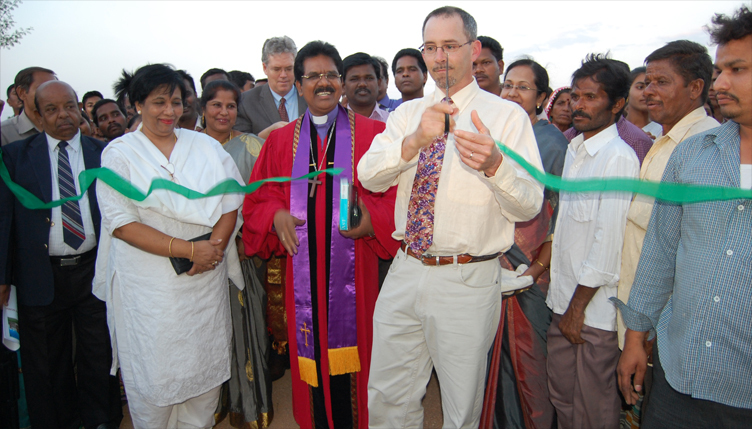 By then thousands of people had gathered in the campus with media crowding the portico area of MBA block to capture the moment when Bishop Joab Lohara, Bishop of Immanuel Conference and Vice President of Free Methodist World Conference unveiled the inaugural stone. A live music band enthralled the audience that comprised ofresidents from and around Solipet, visitors from the city, academicians, political and Christian leaders, and government officials. Senior girls from Immanuel Children’s Home performed the welcome dance. The program ended with a love feast given in memory of Dinesh Gaurav, eldest son of Bishop Lohara. Prior to this, Dr. David Goodnight delivered a very meaningful 5-point message on how a Christian University should be. Immanuel Business School is a Post Graduate College of Business. The vision is to develop IBS into a technical campus and then grow up to be a university with a mission to empower the broken youth of India through higher education.